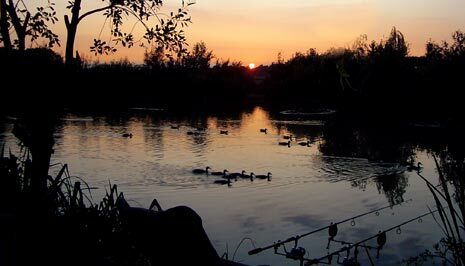 Toddington Fishery is set in a quiet corner of rural Bedfordshire. Originally dug out some 15 years ago and stocked with a variety of coarse fish including roach, perch, tench, bream, with carp to 22lb and catfish to 37lb. To see some of the latest catches of huge size, please check out our news page. This coarse fishing complex has seen many changes over the years and the site is constantly being improved. Day tickets may be purchased on the site and matches can be booked. 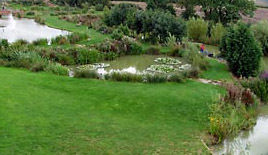 The ponds can be found adjacent to the car park, which itself is a long way from the main road. Safe car parking, a short walk, quiet location and excellent fishing, bed and breakfast accommodation, what more could you want? Expert advice is often on hand in the shape of the owner's three sons, all whom regularly fish the venue and know it inside out. Open all year from dawn to dusk with night fishing by special arrangement, please call John Lydon on 01525877234. There are no bait bans, ground bait is allowed in cups and feeders but no fixed leads or 'method'. Keep nets in matches only. Barbless hooks only. For more details on our rules and our prices please click here. To see pictures of this beautiful fishing facility please visit our gallery page.